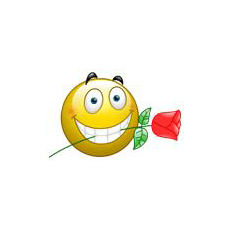 This heart-breaker smiley is 100% ready to hit that timeline or add style to your message! Along with its rose, it’s ready to deliver your love to somebody special! 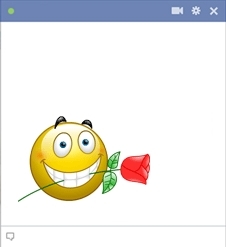 Add some romance to your Facebooking session when you send an adorable smiley like this one. Check out are whole collection! We have so many for you to choose.